The Challenger Division is Little League’s adaptive baseball / softball program for boys and girls age 4 to 18* with intellectual and/or physical challenges who live or attend school in the Fremont-Newark area. Any individual with a physical or intellectual challenge that cannot participate in the age appropriate Little League Baseball or Softball Division with reasonable accommodations is eligible to participate. 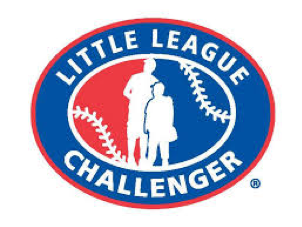 *Players age 19-22 may participate in the Little League Challenger Division if they are still enrolled in a school program. Emphasis is on fun and safety. Games typically are 2 to 3 innings, and last no more than about 75 minutes. Everyone bats every inning and everyone plays defensively. Games are non-competitive, and take place on the same fields as other league games. Games are played on Saturdays, usually with a 10 am start time, starting in March through mid-June. Uniforms and equipment, other than gloves, mitts, or baseball-type shoes, are provided. Players use “buddies”, typically older Little League players, to assist them, as needed, during game play. Joint team practices are also held once a week on a weekday at a central location. Basic registration fee is $50 at our participating leagues.